I’ve been blessed the past four years to live at the Drexel House in downtown Charleston. In exercising, running errands, or eating out, I’ve always been edified by the friendly spirit and welcome of the city. Visitors come from all over the world to see Charleston, the “Holy City.” The city is named “holy” because of the many church buildings and the feel that these churches give to the city and her inhabitants. 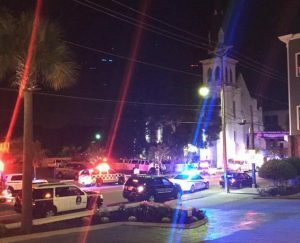 Therefore, we can all understand how shocking it is to have nine people murdered in downtown Charleston and in a church building. First and foremost, this is a tragedy to the families of the victims and to that community of faith. 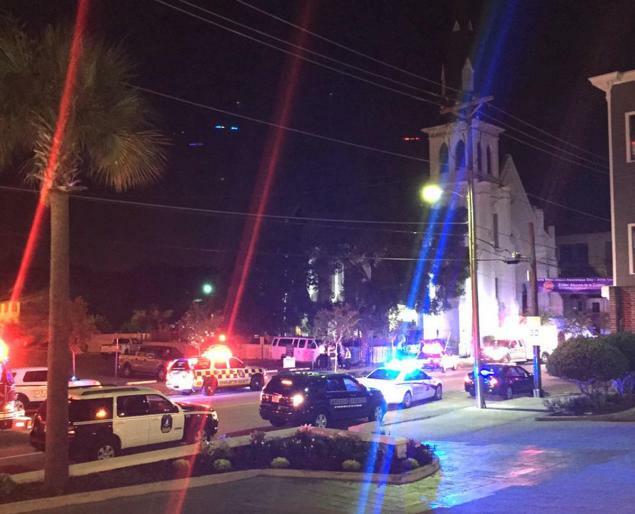 It is also a shock and a beating to the iconic symbol of “the church” in Charleston. In this Holy City, churches are revered as places of sanctuary, prayer, communion with God, and fellowship with other believers. They are honored and guarded as safe and sacred places. Furthermore, the icon of “the church,” especially the African-American churches, in Charleston is also a symbol not only of safety and sacredness, but also of fraternal charity, civic virtue, and of our common call to be good neighbors to one another. It has always been the churches that have called anger to peace, despair to hope, violence to dialogue, injustice to civic virtue. The church building has been an icon of a better humanity, a holistic hope, and a shared vision of a brighter tomorrow. Our churches have been prophets. But a prophet has been attacked. Nine people are dead. As a Christian, I know that death does not have the last word. Violence, racism, and hatred do not have the monopoly on this narrative. As a prophet has been attacked, so a prophet will rise again (and rise stronger than before). The believers of Mother Emanuel died in prayer. The church stained in blood. But, true to itself, that faith community and the city of Charleston has picked up this mantle and is continuing the prayer. Neighbors are praying together, diverse people are gathering in groups, people of all races and creeds are coming together as neighbors to one another. The prophet is risen. The blood has given new life to “the church,” our cherished icon. Mother Emanuel and the churches of Charleston are stronger prophets now and are calling us back to tranquility, civic virtue, and to fraternal charity. Why this happened, God will one day show us in eternity. For now, we go to “the church” and we do our part to make Charleston, and our world, a better place. A place of racial harmony, a place of peace.